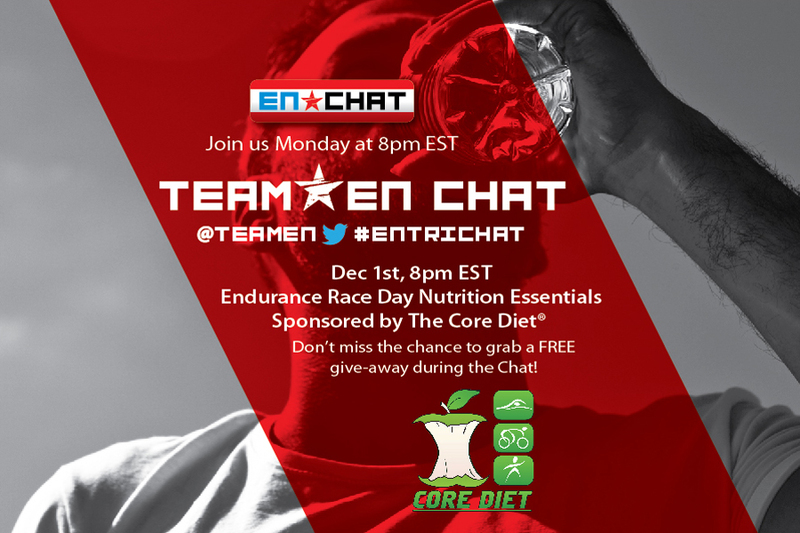 Join Endurance Nation every 1st and 3rd Monday’s on Twitter for #ENTriChat Every chat has a different topic, sponsor and give-a-ways! Share, Learn and Win! This week our topic was “Endurance Race Day Nutrition Essentials” with sponsor TheCoreDiet. As a member of Endurance Nation, The Core Diet gives our members special discounts, pricing and information on nutrition on and off the race course. Just one of the many perks of being an Endurance Nation member! Thank you to everyone who attended this weeks chat, if you missed it and have questions feel free to tweet us!